How To Get Customers To Buy .....And Never Feel Salesy! Get ready to generate more sales in your business. The biggest misapprehension for small business owners and their beauty staff is thatthey are not sales people. BUT you have to be great at selling your product/service to survive and be successful. Many of us go into business to make money and we chose a business that excites us, however the plan was not to be a sales person we just hoped people would love it and BUY! Now you realise it's not the case! To be success in business you need exceptional communication skills to be able to sell your service, products or business. 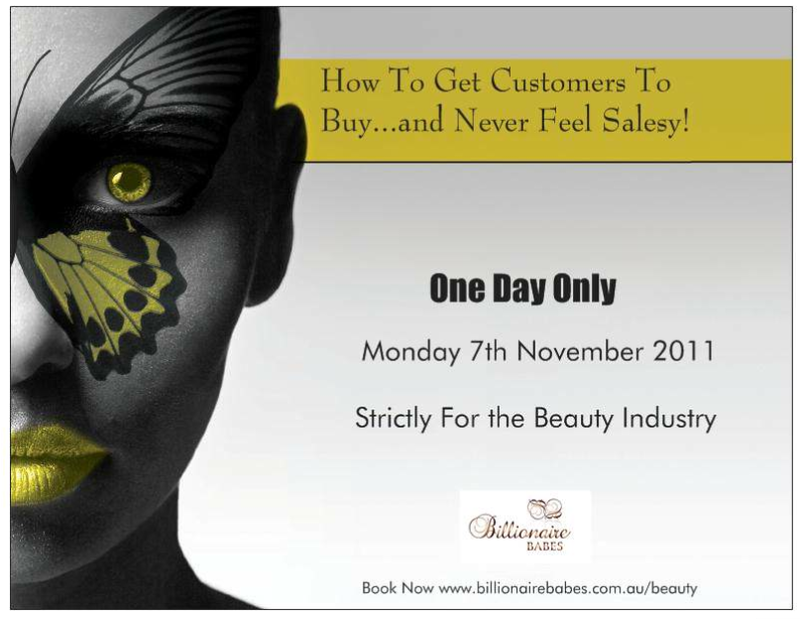 This event is created for The Beauty Industry who are small to medium size business owners and their team, who need to know how to sell seamlessly and guilt free. Business owners, Managers and their Team of staff. 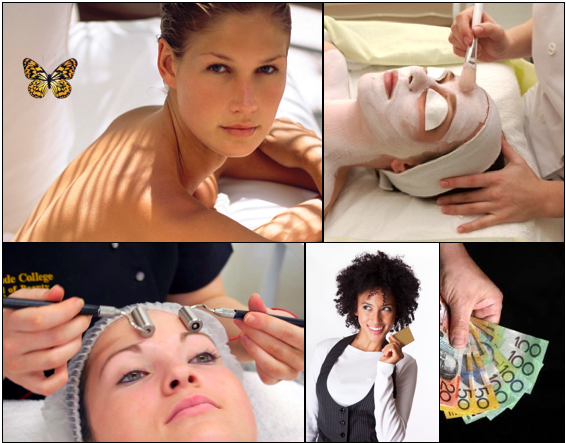 Staff who are face to face with customers at the front desk, or in the treatment room. If you are scared of selling but you know you need to do it to have success in your business this workshop is perfect for you. If you have no structure to your sales process and make lots of friends but no up-selling or cross selling success. This workshop will have you generating cash flow immediately. SPECIAL OFFER: REGISTER BEFORE 17th OCTOBER, BRING A GUEST FOR FREE!